With its abundance of regular and reliable public transportation systems, both getting to Paris and traveling around the city is easy. From exploring the city's attractions to office or college commuting, you're never far from a convenient method of transport. With a train network, Metro lines, tram system, and bus routes to choose from, visitors soon discover their preferred method of Parisian travel. But, what about getting to Paris or traveling further afield in France? It is said that France has the best public transportation in the world and Paris is at the heart of it. Public transportation in France is, generally, reliable and punctual although it is still under-developed in some rural areas where cars are still essential. SNCF is the main rail operator, responsible for nearly 30,000 kilometers of track. High-speed trains radiate out from Paris providing links to French and European cities, including London via the Channel Tunnel. Tickets are priced according to facilities and the time of departure and can be bought in advance online (for cheaper fares) or at train stations. Discount cards for teenagers, young adults, senior citizens or large families can be purchased while weekend travel cards are also available.Rapid Transit or Metro system: Six cities in France, including Paris, have a Metro service. Paris has 16 lines while Lyon, Marseille, Lille, Toulouse, and Rennes all have at least one. Most French cities have extensive bus systems that operate with flat-rate charges for each journey. Rural bus services are more limited. Until recently, most long-distance bus routes were operated by SNCF but this monopoly was lifted in 2015 allowing private providers to offer more flexible routes and competitive prices. Tickets for long-distance bus journeys are most economical when bought in advance online. Like many countries, France has seen a recent revival of its tram networks, giving a comfortable and efficient service. Lyon has the biggest network but Paris, along with more than two dozen other cities, enjoys the benefits of trams. Tram and local bus tickets can be bought from the driver or from ticket machines at bus stations and some bus or tram stops. When buying from the drive, having the correct change is appreciated. Tickets then have to be validated at the machine on board. France's network of natural and man-made water routes is the largest in Europe, covering 8,500 kilometers. Navigable rivers, including the Seine, Loire, and Rhone, along with many canals are still used for commercial traffic. Leisure use is becoming increasingly popular and, of course, water taxis and pleasure cruises are available on the Seine in Paris. France has nearly a million kilometers of roads. The motorway network or autoroute is mainly funded by a toll system while national roads are free to use. Most major road networks are measured from their starting point in Paris with Notre-Dame being used as Kilometer Zero.Air Transport: France has around 480 airports and heliports, half of which are used commercially. Aeroports de Paris manages 14 airports in the Ile-de-France region including the country's two busiest – Charles de Gaulle and Orly. Air France is the national carrier which, from its Parisian hub, serves over 20 domestic destinations and 83 countries across six continents. Unfortunately, strikes are not uncommon in France and can affect all forms of transport but mainly the rail network. To help you plan ahead visit www.cestlagreve.fr for information about current and planned strikes. The SNCF – Paris website, www.transilien.com, details any planned actions that will affect Parisian commuters. Paris enjoys a dense public transport network with trains, buses, and trams that mostly operate efficiently and to schedule. Nothing is perfect, however, and there are drawbacks such as overcrowding on buses and trains during peak hours and a Metro service that lacks air-conditioning. 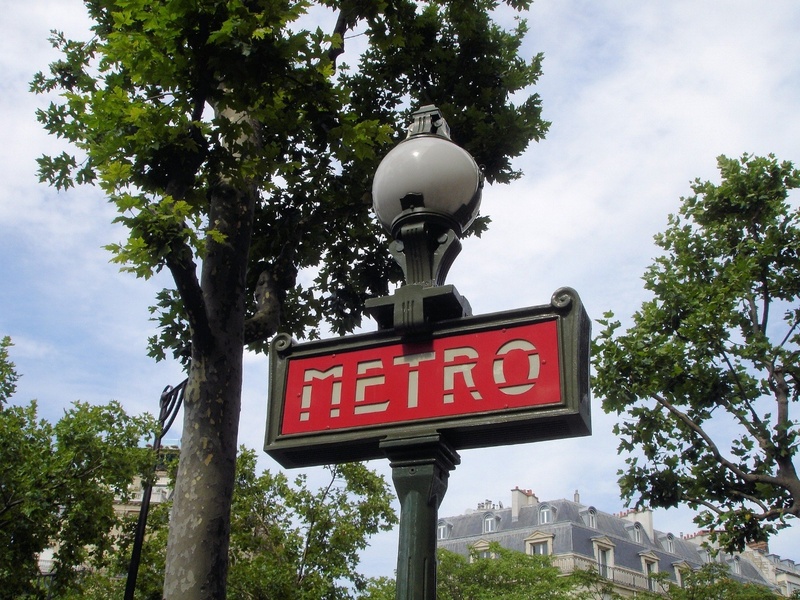 Paris benefits from 16 Metro and 9 tram lines as well as a city-wide bus coverage that includes three airport routes. 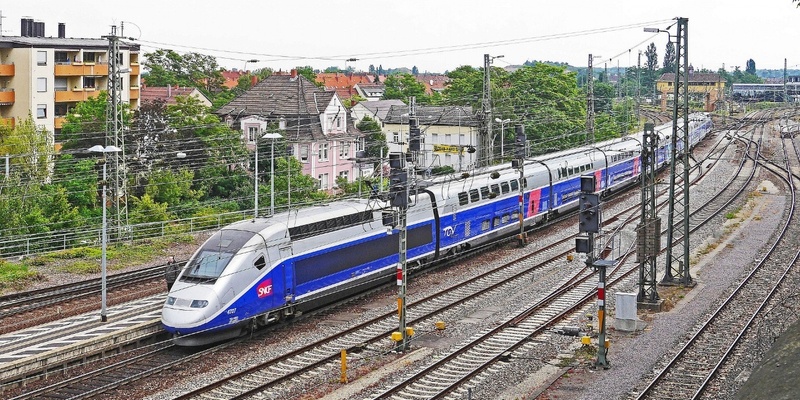 There are also regional express trains and commuter services operated by RER and Transilien Regional and international trains: From Paris, high-speed Thalys, Eurostar, Deutsch Bahn and TGV trains link Paris with major French cities as well as European countries including the UK, Germany, Spain, Italy, and Switzerland. RER (suburban express trains): The RER network covers Paris and the Ile-de-France region and is made up of five lines. The service runs every day of the year between the hours of approximately 06:00 and 01:00. Trams: Four tramway lines, known as T1, T2, T3, and T4, serve the perimeter of the city. Buses: With 64 routes, every part of Paris and its suburbs are well covered by buses while the growing network of bus lanes in recent years has speeded up bus travel considerably. Buses run frequently from 07:00 until 20:30 while Noctilien buses cover popular routes throughout the night. Reduced services run on all routes, however, during Sundays and public holidays. The bus network is easy to use with destinations clearly indicated on the front of buses and electronic display signs at most bus stops. All tickets must be validated on the bus.The ticketing system for the Paris underground (Metro), RER trains, trams, and buses is all interlinked. With 300 stations, 16 color-coded lines, and trains departing every few minutes riding the Metro in Central Paris is easy. The service, provided by the Parisian Autonomous Transport Authority (RATP), operates between the hours of 05:30 and 00:40 from Sunday to Thursday with trains running later on Fridays, Saturdays and before public holidays. Route maps are easily available at stations and tourist offices or can be found online while route planner apps can be downloaded to mobile devices. When planning leisure journeys around Paris try to avoid using the Metro during morning and evening peak hours. Above ground, Metro stations are easily located by their red or green 'Metro' or 'Metropolitain' signs. Once on the train, follow your route on the line guides or listen out for station announcements. Individual (T+) or 10-journey tickets can be bought from station kiosks or machines (which have an 'English' option). A single ticket costs €1.90 or savings can be made by buying a 'carnet' of 10 for €16. These are valid for zones 1 to 2 which covers most of central Paris.For unlimited one-day travel on all transport systems the Mobilis pass is good value with prices starting from €7.50 for city centre travel. For travel anywhere in Paris and the Ile-de-France region, including the airports and Disneyland Paris, the Paris Visite travel pass can be purchased for 1, 2, 3, or 5 consecutive days. A 5-day Paris Visite pass costs €38.35.Weekly or monthly Navigo passes are also available for purchase at ticket offices or some station machines. A passport-sized photo is needed when purchasing these. A weekly pass costs €22.80 while a monthly one is €75.20. If you are looking for a transport option that provides some exercise while protecting the planet, then the “Vélib” bicycle system is perfect. Set up a short or long-term subscription (daily to annual) using your Smartphone then simply pick up a bicycle from the dedicated terminals and cycle away. The first 30 minutes are always free. Similar subscription services are available for mopeds and scooters. 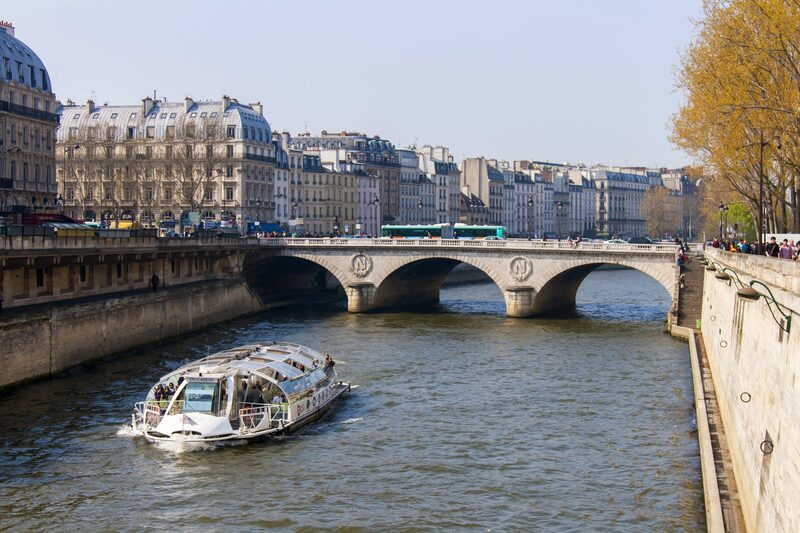 Although city center driving is best avoided, carpooling with sites such as blablacar is ideal for those times when only a car journey will work while for a more leisurely perspective on the city, board a Batobus on the River Seine. Keep informed about all modes of Parisian transport by downloading the Citymapper app. This puts route planning at your fingertips as well as keeping you up to date about strikes, road works, and any other possible disruptions to your journey.